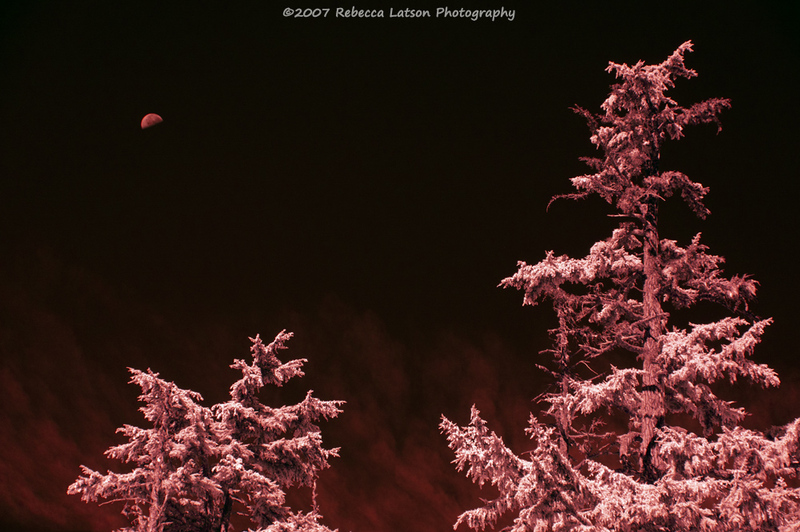 While digging through my photo archives for images to use in the previous post, I happened upon several CDs with Raw 2007 files taken with my IR-converted Nikon D40 (camera long since sold). Neato, I thought to myself, I now have another subject for a blog post! 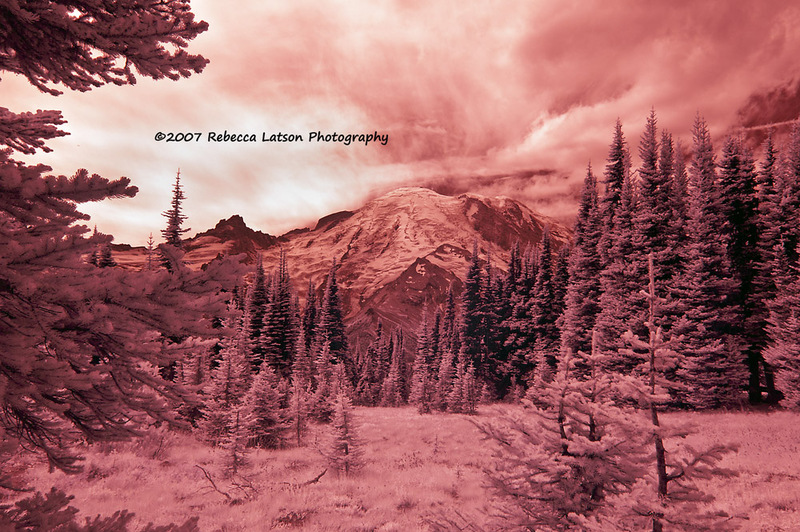 What is IR photography, and IR (infrared) in general? Without getting too tech-y (I’m not really a tech-y kind of person), this refers to the infrared (or, near infrared) spectrum of light which the eye cannot see. 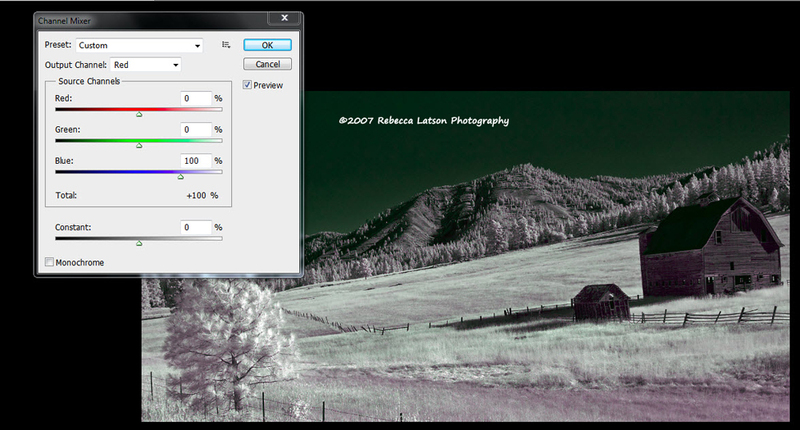 Let’s just say that the resulting images can look pretty funky/dreamy/spooky and definitely out of the ordinary. Skies and water are so dark as to be almost black, foliage is a dreamy white, and clouds are out-of-this-world detailed. 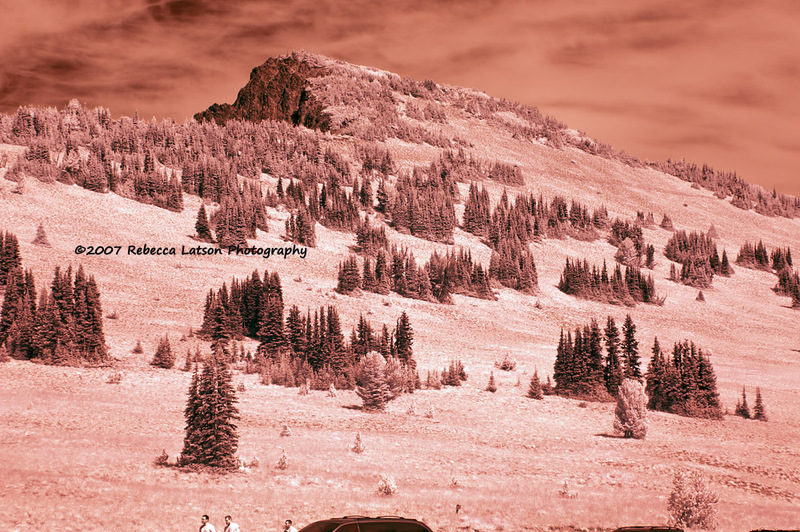 Back in the pre-digital days, the only way to achieve images like the ones you see here, was to affix an infrared filter to the lens and use infrared-sensitive film. Because of the opaque-ish blackness of the IR filter, focusing was difficult, to say the least, and the camera needed to be on a tripod since long shutter speeds were necessary to let in enough IR lightwaves. Even with the advent of the digital camera, the same issues are encountered because the in-camera filter over the digital sensor blocks IR light rays. 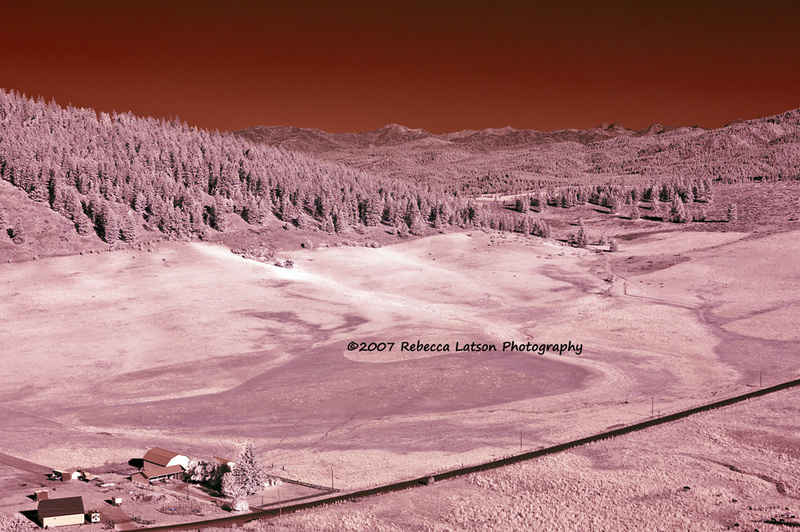 I never tried the lens filter route, because by the time I discovered IR, there were places out there (like Life Pixel) that would actually convert one’s camera’s sensor by replacing the IR-blocking filter with an IR-friendly filter. And Life Pixel isn’t the only IR conversion company around. 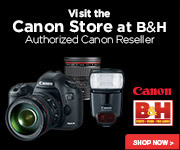 LensRentals.com (my favorite rental place for lenses and cameras) has their IR cameras converted by MaxMax. 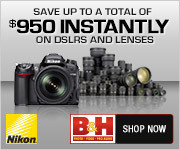 And there are a host of other conversion companies out there, including Precision Camera. 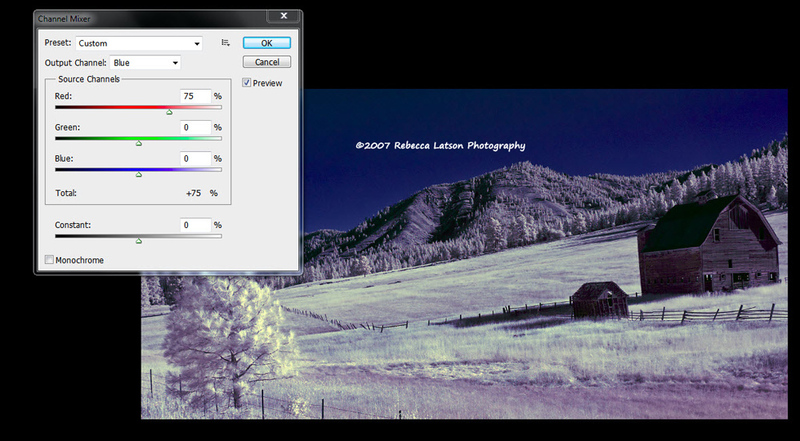 I thought the whole idea of a digital camera I could hand-hold, use regular ISOs, and capture IR photos without long shutter speeds was a pretty cool thing, so back in ’07, I purchased a used Nikon D40 on eBay and sent it off to Life Pixel. 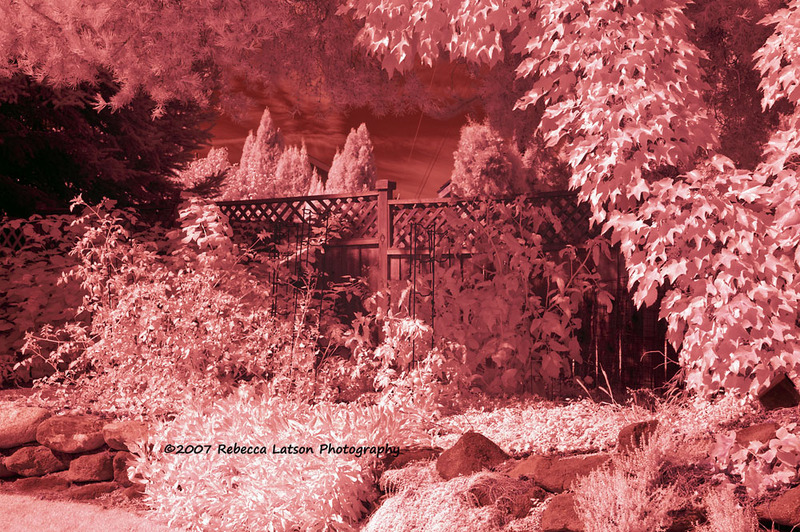 I purchased the straight IR filter conversion (they have other types of conversions, of varying costs). Here’s the deal, though. 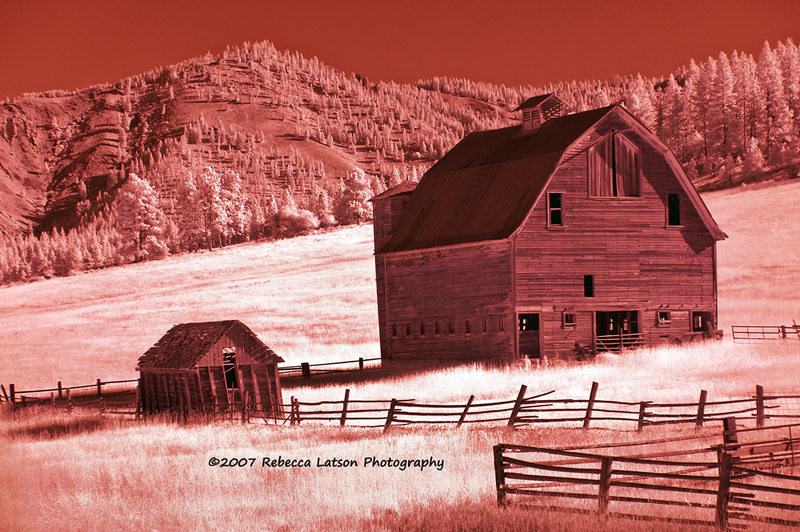 With the typical IR filter conversion, your images straight from the camera are red! 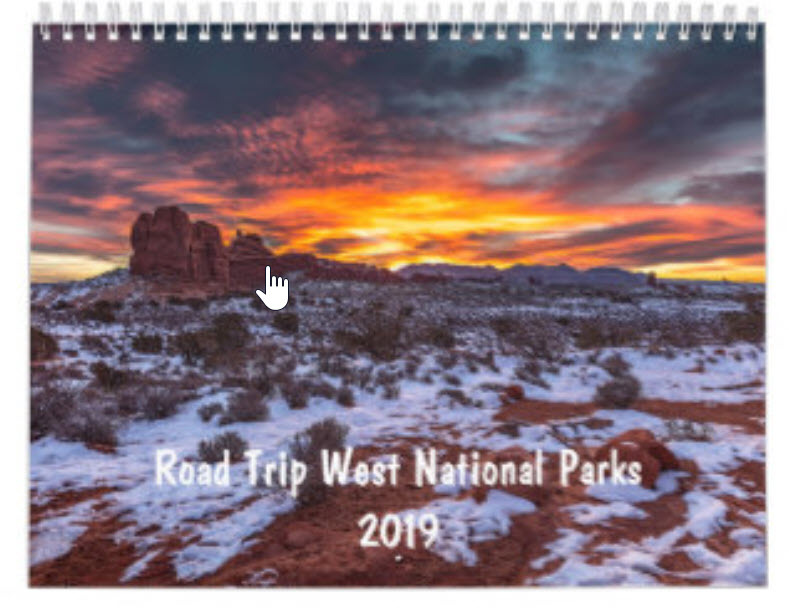 You must bring them into your photo editor and from there convert them to black & white, or play around with the red, green, and blue channels for some funky results. I had alot of fun re-processing these older images, and this is a good opportunity for me to remind all of you photographers out there to NEVER get rid of your photos; editing technology and your expertise with post-processing improve with time, allowing you to return and rescue images once thought to be total losers (but which now turn out to be incredible winners). How did I process these photos? 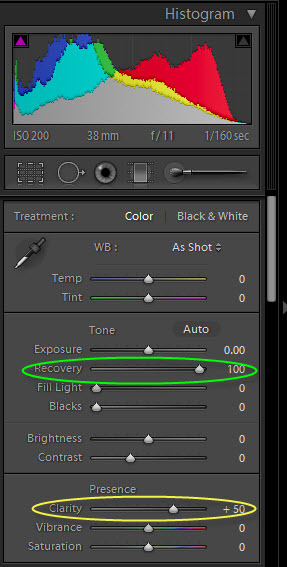 First thing I did was bring the raw images into Lightroom 3, where I applied a preset I created and saved to the program: I clicked on the Enable Profile Corrections, moved the Recovery slider all the way to the right (100), and applied some Clarity (50). From there, I tweaked/cropped/straightened or rotated as I saw fit. Then I chose which images I wanted to convert to black & white, and went up to the menu bar to select Photo-Edit in-Silver Efex Pro (a plug in I use in Lightroom). 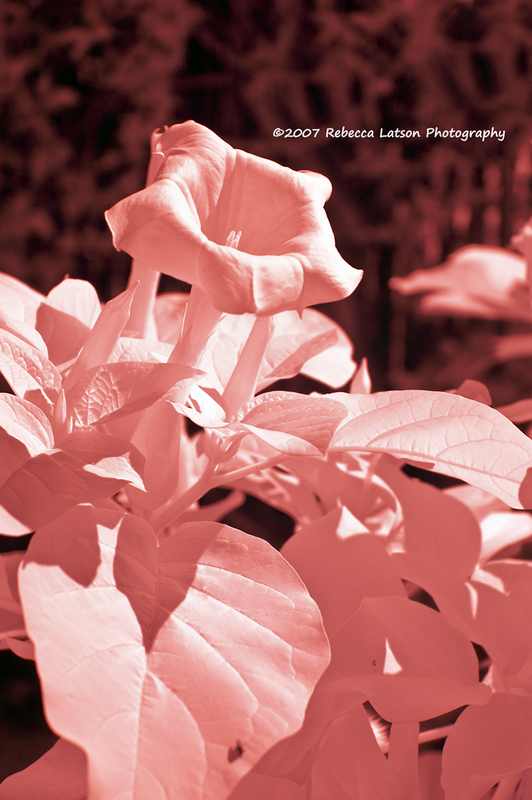 After playing around with selected images and converting them to monochrome, I exported all the images (the red ones as well as the monochrome-converted ones) as TIFs to a folder I titled “IR”. I opened up Adobe Photoshop CS5 and brought in the TIF files – easy to open up lots of files at once because these were taken with a Nikon D40, with an effective resolution of 6.1 mp (as opposed to my Canon 5D Mark II, with an effective resolution of about 21 mp). At the end of all my edits, I applied a teeny bit of Unsharp Mask to these photos (instead of my regular 85%, I dialed it down to 60%). 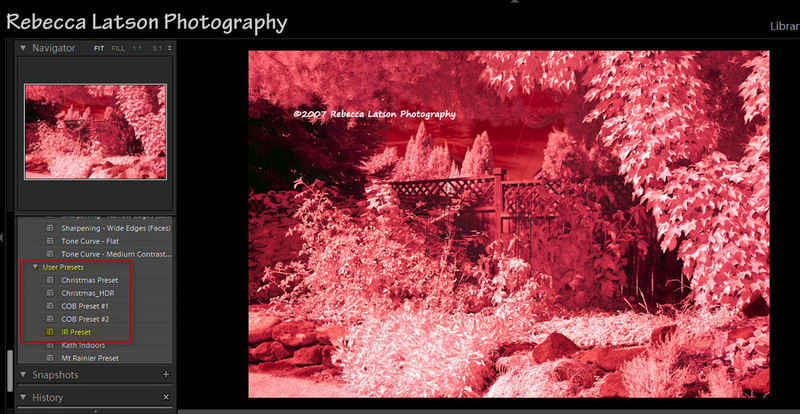 I also had a little more fun with the IR photos by using the Channel Mixer (Image-Adjustments-Channel Mixer). 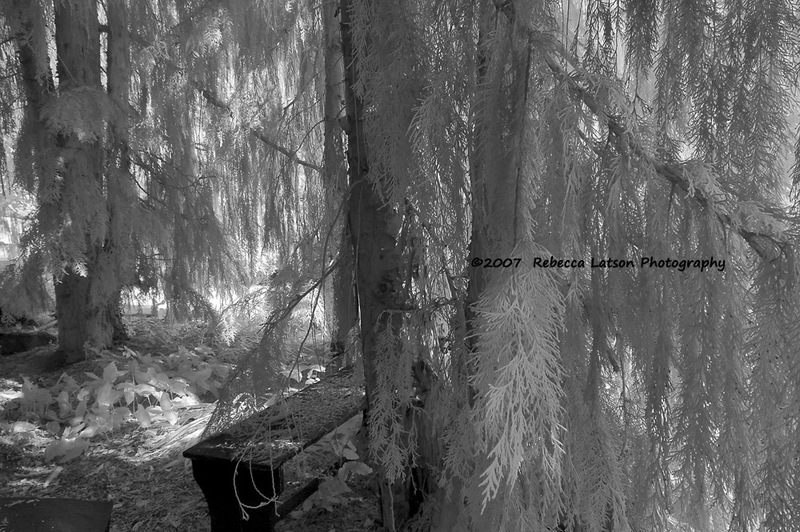 Next to one side of my sister’s home is a little hidden area with a bench, surrounded by trees and plants – I call it their Secret Garden. En route to Mt. 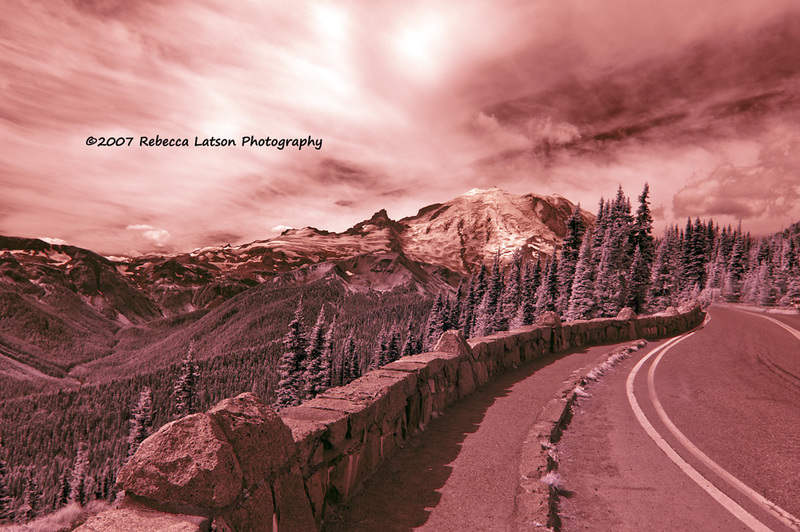 Rainier (or, as the locals call it: The Mountain). 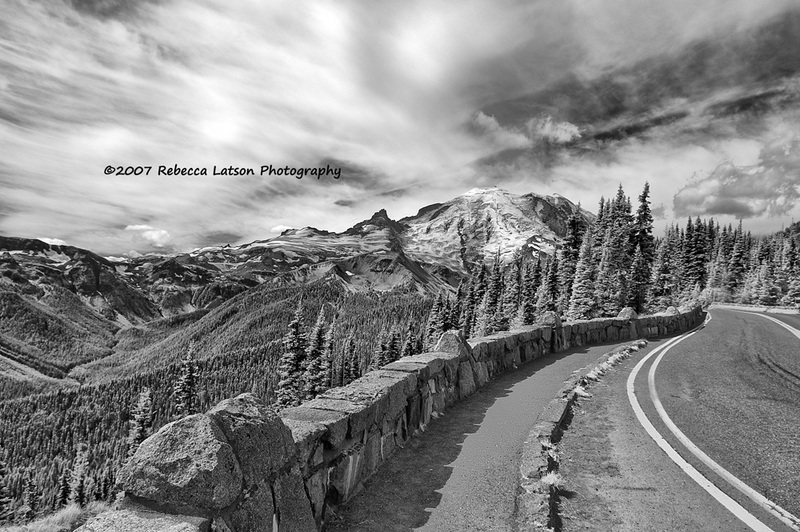 At a view area not too far from Tipsoo Lake in Mt. Rainier NP, I stopped to capture this image of the moon. A view of the valley on the way from Ellensburg WA toward Wenatchee. An image of an old barn located on the road to Wenatchee WA. Scenery at the Sunrise area of Mt. 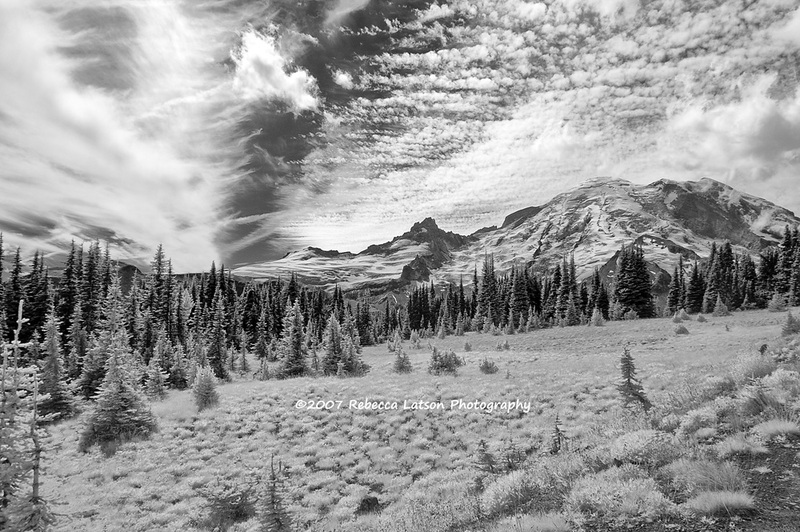 Rainer NP. I didn’t realize I hadn’t cropped out the people, but decided to leave them in since they provide a nice scale. I believe this is a Jimson flower. IR photography is like HDR – it’s another medium allowing the photographer to express and improve upon their creativity. 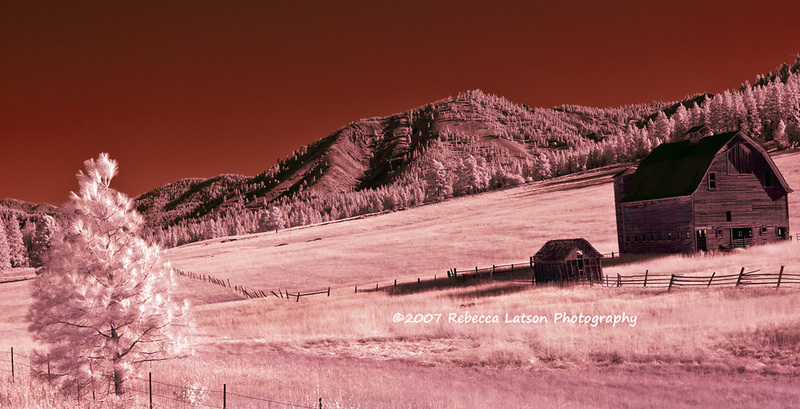 Unless you plan on working with infrared extensively, it is somewhat pricey to have a SLR camera converted for IR photography. Instead, why not rent a converted camera for a few days and enjoy experimenting with this medium to create something new and a little out of the ordinary for yourself and your viewers. 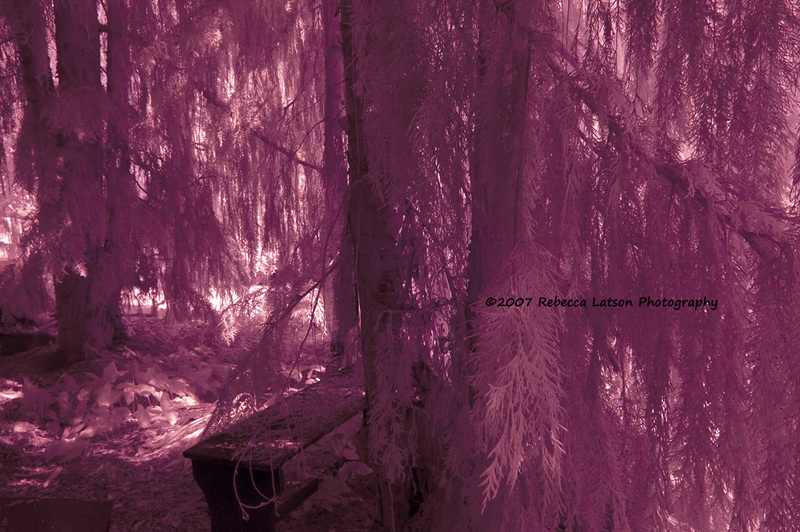 I loved working with infra-red film in college 9way back when). Thanks for sharing this! I will have to try it. Lovely photographs!